What is the key ingredient to success? What is the one main characteristic that all successful people have? 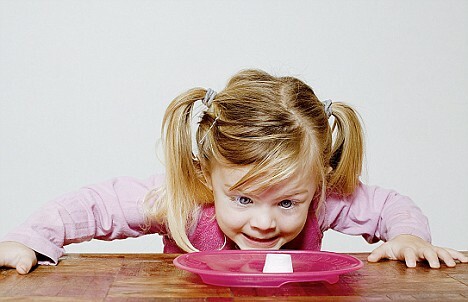 Well, in the late 1960’s and early 70’s, Psychologist Walter Mischel from Stanford University proposed (through numerous “Marshmallow Studies” with children) that the key ingredient may be a persons ability to delay gratification. In follow-up studies, the researchers found that the children that were able to delay gratification had better life outcomes like higher SAT scores, education, BMI, etc. In a Holy Smokes meeting this week, we discussed the validity of this experiment and if this characteristic really is the key ingredient to success. We nailed down that you first must define what success looks like and for this conversation happiness and success are not necessarily the same thing. Let me explain, success can look like a lot money, a great job with lots of influence, a strong family, lots friends, etc. Yes, those things bring happiness, but if happiness was the end goal of success we may not have gotten there. All of those things listed take hard-work to attain. Lots of pain, hurt, feelings of un-comfort at times and if happiness was ultimately what we were looking for then we may have taken a different direction. Remember, Not every happy person is successful and not every successful person is happy. It is hard to deny that there is some connection between the person that can choose to delay gratification and success. Call it strategic reasoning or not, it is a great characteristic of some people that positions themselves to think outside of their current moment and choose the more preferred outcome even though it may not be the immediate one. In a culture like today where we are a “24-hour, drive-thru, I want it now” type culture it is even more important for us to embrace this approach to life and success. You may have to wait before you can buy something you want. When your child is standing in line for a turn on the swings, or looking forward to her favorite holiday, point out that sometimes we have to wait for things we want. Find three jars (or cans) and label one for saving, one for spending, and one for sharing. Suggest that your child put some of the money she gets into the saving jar, so she can buy a toy or treat when she has saved enough. It’s good to shop around and compare prices before you buy. With your child, compare prices for a particular toy at various online or brick-and-mortar stores. Use coupons and discount cards and show your child how much you are saving. Consider allowing her to keep part of the savings, but only if she helps clip or print out coupons. You should always try to save at least a dime for every dollar you receive. Encourage your child to always save 10 percent of the money he gets. Have your child set a goal to buy something he wants and have him work toward that amount. To reinforce the savings habit, go to the bank two to three times a year with your child to deposit savings into his account and look at how much bigger the balance is on each visit. Consider a “matching plan” for your child’s savings: You put in 25 cents for every dollar he saves. A great place to save and invest money you earn is in a Roth IRA. If your child has a job, encourage him to open a Roth IRA (Individual Retirement Account). Explain that a Roth IRA allows the interest you earn to grow tax-free for life. Experiment with different amounts of savings and interest rates. Use a compound interest calculator at investor.gov. Use the “Rule of 72” to estimate how many years it would take to double your money. If you invest in an account that earns 8 percent interest, you’ll double your money in nine years (72 divided by 8 is 9). Explain to your child that once he starts a job, he may be offered a similar account at work called a 401(k). Some employers even provide matching contributions. You should use a credit card only if you can pay off the money owed in full each month. Understand that when a parent cosigns, any late payments you make will also affect their credit history. Paying bills late can hurt your credit history and affect your chances of getting a job. Get free credit reports once a year at annualcreditreport.com. Look for a credit card with a low interest rate and no annual fee. There may be an emergency expense that you can’t pay off immediately and need to charge. That’s why it’s important not to charge everyday items. To learn more about the credit card rules, go to federalreserve.gov. Whether it is money, relationships, career choices, etc. we can all learn something about the principle of delayed gratification.